I had no idea this was part nursing home, and I was surprised to check in to an entire apartment! That was lovely and provides further opportunities for food and comfort. The staff was also able to accommodate an early check-in, which was very useful. Parking. The spaces were wide and access was easy. The apartment. Kitchen, living room, bedroom and bathroom. Building access. There was a street entrance right next to us. We were just a few minutes away from the pedestrian zone. The female desk clerks were helpful. What a wonderful and courteous staff. Breakfast was excellent. Comfortable bed. Very roomy. Large apartment style room. Great location in quieter part of town, but still near everything. Convenient and quiet location. It was quiet. We didn't interact with the residents, but they were friendly in the hallways. They also allowed us to leave the car in the garage after we checked out while we did a little more sightseeing. Since it is part of senior housing facility, full size refrigerator is a plus. 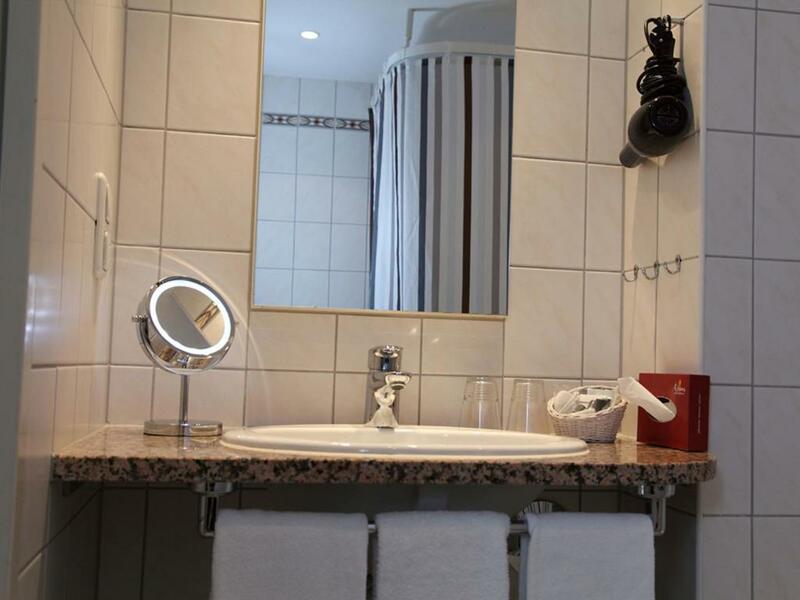 Virtually everything was terrific room very clean and staff very helpfull and the place is within walking distance from the old town and the Christmas markets. Very spacious, quiet surroundings, nice and flexible staff. 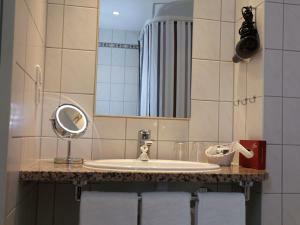 Lock in a great price for Residenz Hotel am Zuckerberg – rated 8.7 by recent guests! Residenz Hotel am Zuckerberg This rating is a reflection of how the property compares to the industry standard when it comes to price, facilities and services available. It's based on a self-evaluation by the property. Use this rating to help choose your stay! This 3-star hotel in Trier offers spacious suites, a spa, and daily breakfast buffets. It is an 8-minute walk from Trier Cathedral and a 15-minute walk from the train station. 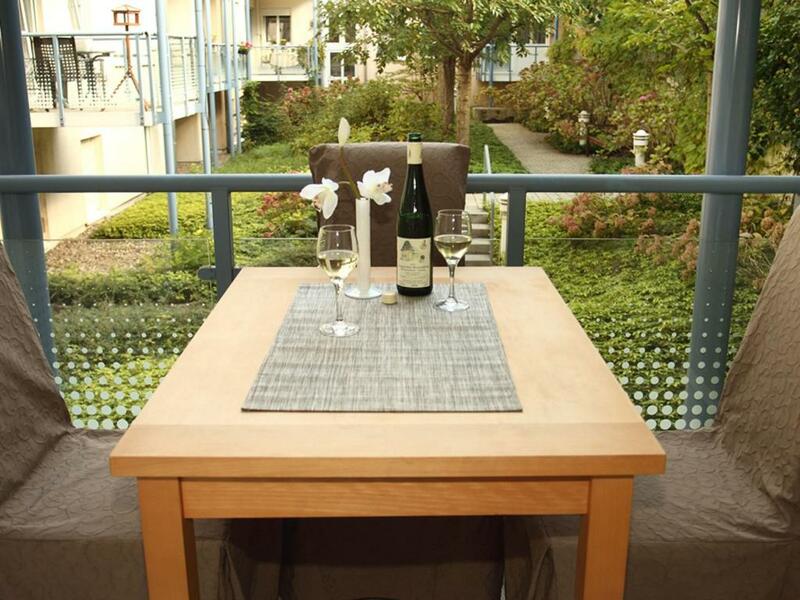 Residenz Hotel am Zuckerberg offers 2-room suites with kitchenettes and a balcony or terrace. Wifi is available free of charge. Apartments with a fully equipped kitchen are offered upon request. A kettle, cups and glasses, as well as tea, instant coffee, sachet cocoa and a mini-bar are available to all guests. The spa area at the Hotel am Zuckerberg includes a sauna and 2 hot tubs. 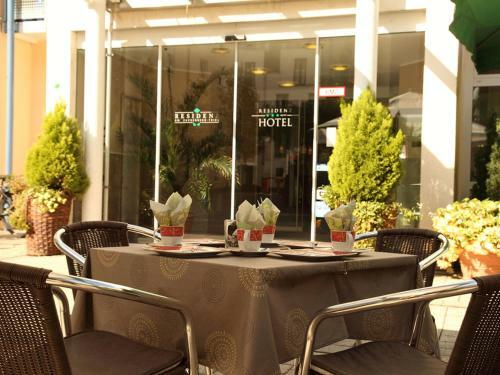 The hotel can also arrange appointments for hairdressing, a manicure or a pedicure. 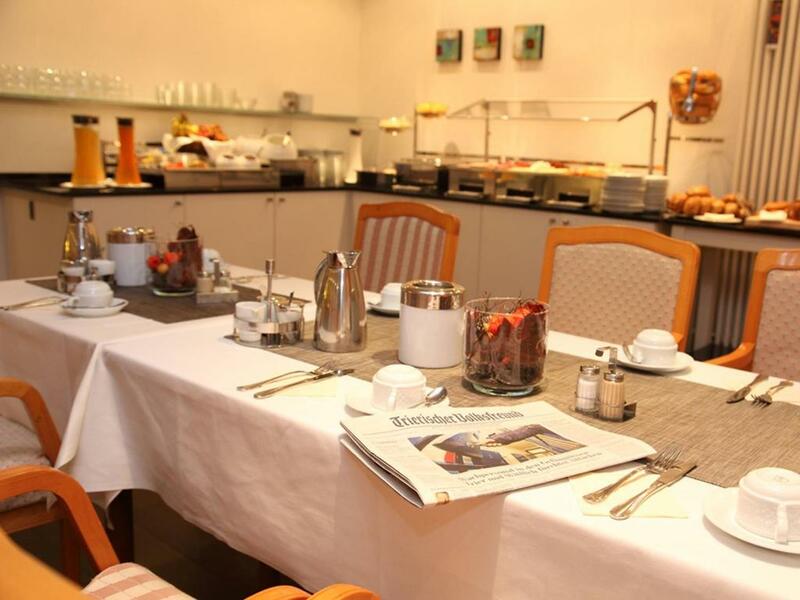 Coffee and cakes are served in the hotel café from Friday to Sunday afternoon. The terrace is open in summer. The Residenz Hotel also operates a residential home for the elderly. This property also has one of the top-rated locations in Trier! Guests are happier about it compared to other properties in the area. This property is also rated for the best value in Trier! Guests are getting more for their money when compared to other properties in this city. 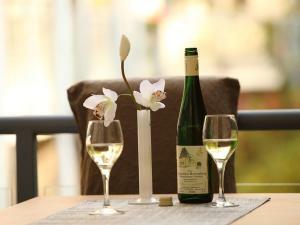 뀐 Located in the real heart of Trier, this property has an excellent location score of 9.2! When would you like to stay at Residenz Hotel am Zuckerberg? Apartments with a fully equipped kitchen are available upon request. Sauna und zwei Whirlpools stehen unseren Gästen im Wellnessbereich zur Verfügung und sind im Preis inbegriffen. House Rules Residenz Hotel am Zuckerberg takes special requests – add in the next step! Residenz Hotel am Zuckerberg accepts these cards and reserves the right to temporarily hold an amount prior to arrival. Please note that the reception is closed from 24:00 until 05:30. It is impossible to check in during this time. Please also note that the parking spaces available in the underground ground parking garage are subject to availability. The maximum height of vehicles that can be accommodated in the garage is 6.2 feet. It felt a little sterile, given the dual purpose of the residence, but I enjoyed it nonetheless. Staff came to clean room at 0800 in the morning. Then dropped off a bag of fresh towels and toilet paper- not having done anything to the room. Not very attentive service. Expensive car park charges even as hotel guests. As returning customers on a number of occasions, this was very disappointing. This should not be listed as a hotel but more a self catering flat. Great location. Lots of space in the flat. No drapes, only shears, so lots of ambient light. Very difficult to sleep. There was a flat. And it's square was very big for two people. Inside is institution for aged people, but it was all OK. I think that such accomodation more useful when you are here for more then 3 days. Nothing really. Just know it is a hotel mixed wirh a boardinghouse for the elderly. Not a standard hotel. Room is big, like an appartment with seperate living area. Scaffolding and ladders across front of building where our room was - as whole front facing the road was being repainted. Plastic sheeting was then put across our windows and balcony doors and taped whilst we were sightseeing. We tore the plastic to let air in our bedroom as it was high 20 deg that evening. After showering the next morning I was really caught out as painter was on his ladder taping window up again!!! Luckily he didn’t fall off his ladder! We complained to manager on checkout and advised them not to give customers that room or others on front facade. They apologised profusely! A very nice apartment and spotlessly clean. Rather gloomy living room area but we were out most of the day sightseeing. Good bathroom with wet room area. Ideal for disabled visitors with several lifts which took you down to underground car parking, dining area etc. Excellent breakfast catering for all requirements. Staff polite. Nice courtyard area. Lots of restaurants near. Security good. We coudn,t use the restaurant. Personnel denied informing that it is for the exclusive use of the residents of the hotel, the elderly people.